Some may ask What is BartPE... 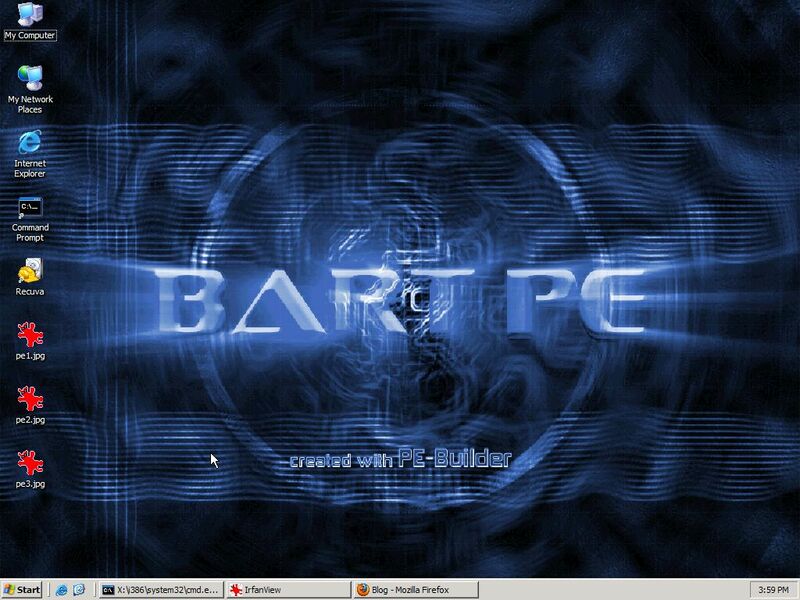 It's a Windows LiveCD that's based on Windows PE built with a program called PeBuilder. 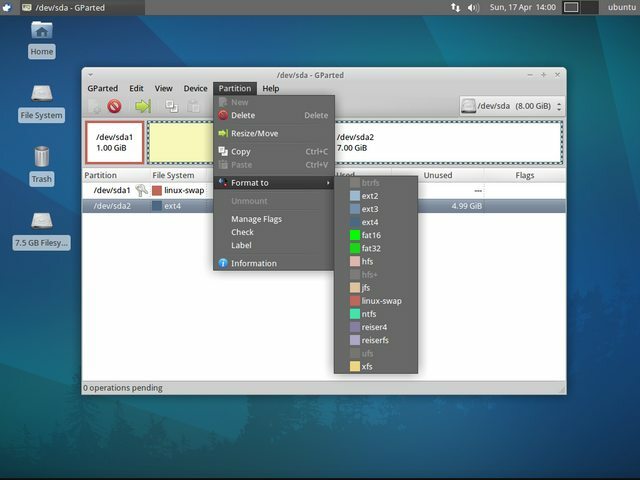 Once you built BartPE (with XPE included) you will see a desktop environment very similar to preinstalled windows (screenshot below). To disable autorun on certain types of removable drives, You nead to get a TweakUI freeware utility from Microsoft. Alot of time went when I started to develop the Ubuntu Recovery Rescue CD with Xfce Desktop Environment. I created it almost based on guide posted on the link below with some other tweaks. The current progress image with the GParted utility shown.